I am on a roll with making good, low-fat desserts! 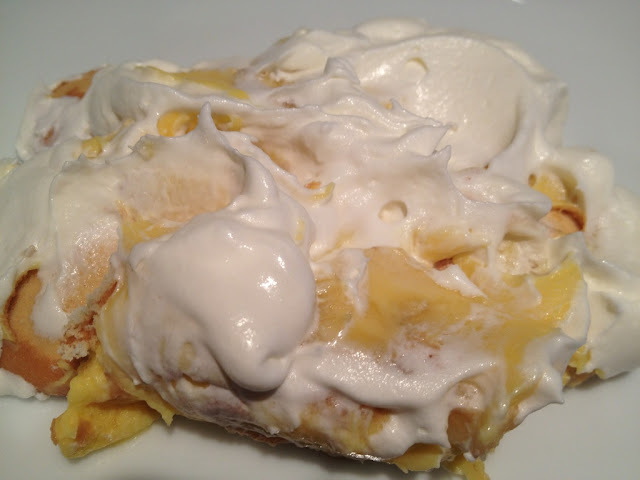 This week I turned to the classic, old-fashioned banana pudding with vanilla wafers. 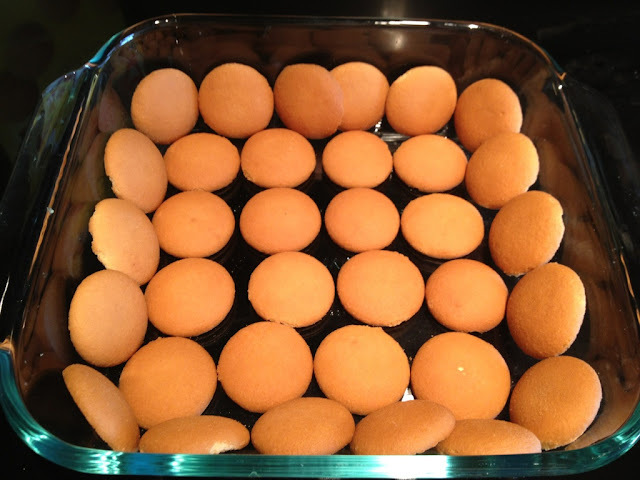 This is always a hit in our household so I am just reminding those who forgot how to make this yummy dessert or snack how to make it! 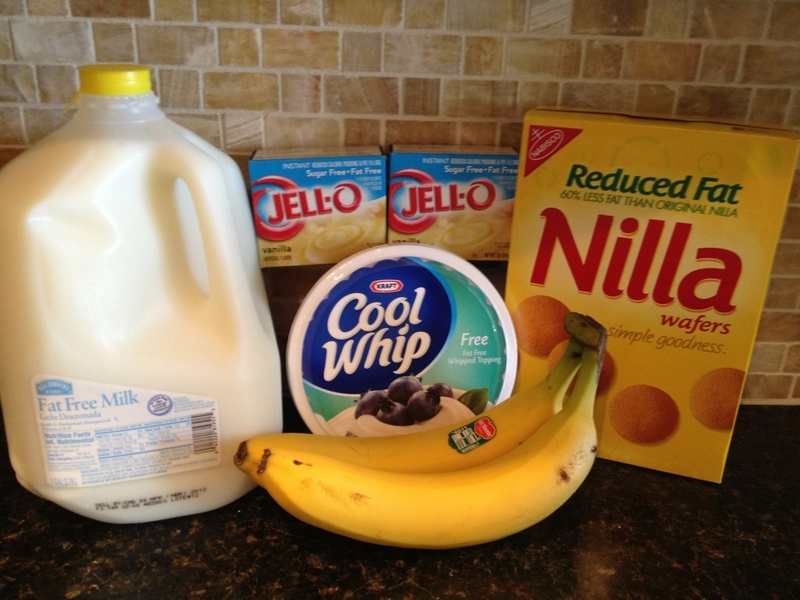 Mix the 2 packages of pudding with the milk in a large bowl. 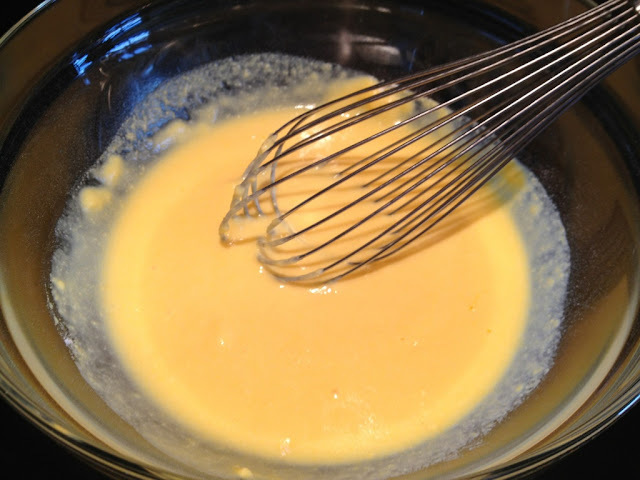 Beat with a wire whisk for 2 minutes or until well blended. Let stand for 5 minutes. Arrange layer of wafers on the bottom and up the side of square pyrex dish. Drizzle with 2 tablespoons of the milk. 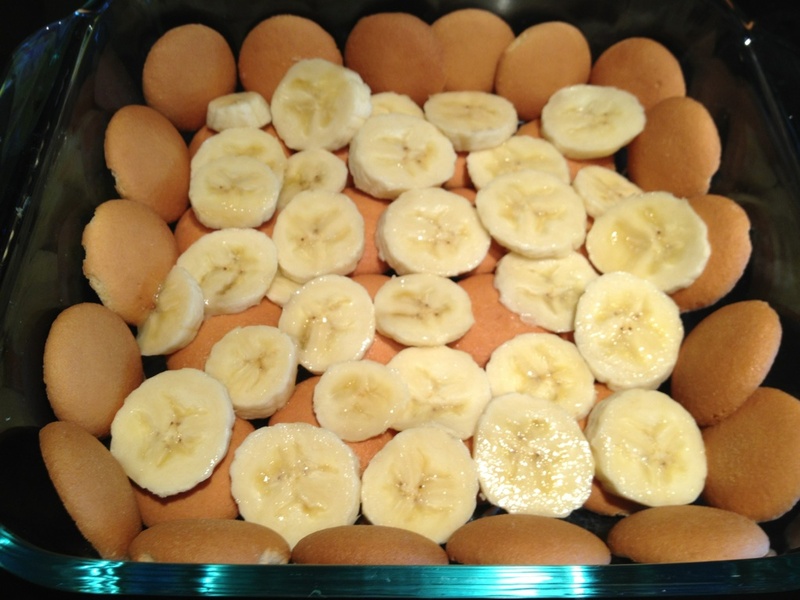 Add layer of banana slices; top with 1/2 the pudding. Repeat the layers, drizzling the wafer layer with the remaining milk and ending with pudding. Spread with whipped topping with a spatula over the pudding. As you can see, pudding does not photograph well!